MOSCOW, May 13. /TASS/. 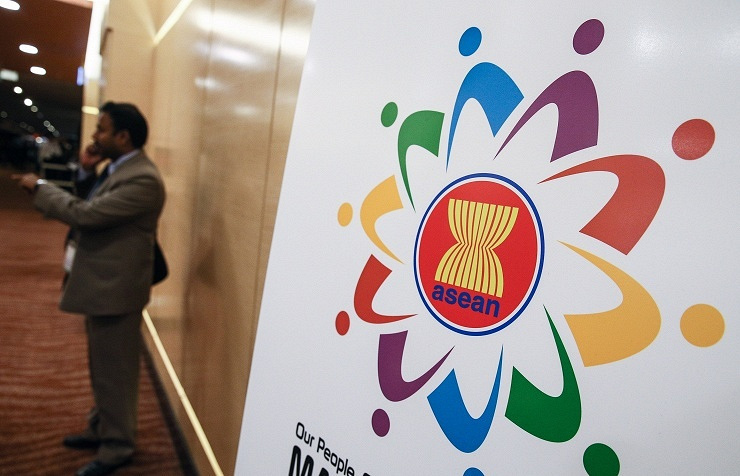 The dialogue partnership between Russia and the Association of Southeast Asian Nations (ASEAN) will be further intensified in the years to come, Myanmar’s Ambassador to Moscow U Tin Yu said on Friday ahead of the Russia-ASEAN summit in Sochi on May 19-20. "ASEAN and Russia maintain good political, economic and security relations during previous twenty years," the ambassador said adding that "this format of cooperation was successful in certain areas." "Firstly, at the First ASEAN-Russia Summit in 2005, ASEAN and Russia signed the Joint Declaration of the Heads of State/Government of Member Countries of ASEAN and the Russian Federation on Progressive and Comprehensive Partnership. This Joint Declaration promotes and strengthens ASEAN-Russia Dialogue Partnership in political, economic, security and development cooperation. Moreover, ASEAN-Russia Cooperation is undertaken under the framework of the Comprehensive Program of Actions (CPA) to promote cooperation between ASEAN and the Russian Federation 2005-2015. This CPA is aimed to promote ASEAN-Russia Dialogue Relations in regional economic integration and community building," he continued. 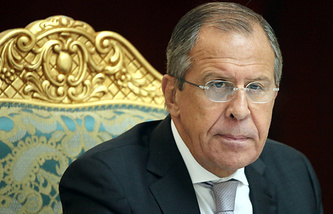 "ASEAN and Russia have been working to implement the ASEAN-Russian Federation Joint Declaration on Cooperation in Combating International Terrorism which was signed at the ASEAN Post Ministerial Conference+1 Session with Russia in 2004," the diplomat reminded. "ASEAN and Russia adopted the ASEAN-Russia Work Plan on Countering Terrorism and Transnational Crime and have held regular dialogue at senior officials and expert levels," he added. "In addition, ASEAN-Russia Socio-Cultural cooperation has been enhanced in previous years. Many joint activities have been undertaken in science and technology, energy, SMEs, tourism and human resource development. Moreover, ASEAN and Russia are also exploring cooperation in other areas including sustaining natural resources, environmental conservation, food security, agriculture, education, transport, etc.," Tin Yu said. "We understand the importance, realities and challenges of Interdependence in today’s world. So, I am fully confident that ASEAN-Russia Dialogue Partnership will be further intensified in the years to come," he said. "The most promising areas of cooperation between the ASEAN member states and Russia are trade and economic areas," Tin Yu said. "In December 2005, ASEAN and Russia concluded the Agreement between the Governments of the Member Countries of ASEAN and the Government of the Russian Federation on Economic and Development Cooperation. This agreement provides for favorable conditions for the development of multifaceted cooperation between the two sides in economic, trade and investment," he added. "ASEAN, a region of more than 700 million people, is a potential partner for Russia and it still has a large space to develop although the economic cooperation between ASEAN and Russia has attributed to an upward trend in trade," he noted. "Energy sector developments and increase in trade and mutual investments can enhance mutually beneficial economic relationship between ASEAN and Russia," he concluded. The Russia-ASEAN summit will be held in Sochi on May 19-20 and will become the biggest international event in Russia in 2016. The summit will be held under the slogan "Towards Strategic Partnership for the Sake of the Common Good." 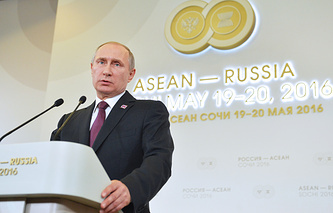 Russia has been a dialog partner of ASEAN since July 1996. Similar partnership summits are normally held on the territory of member-states and the choice of Sochi as venue for the Russia-ASEAN summit on the partnership’s 20th anniversary is symbolic.